The second of three 7''s released off of the 3rd GBV reundion LP, The Bears For Lunch. Limited to 1000 copies. This 7'' contains 1 exclusive b-side. 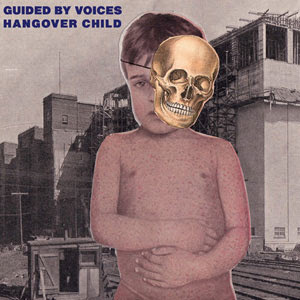 Hangover Child- Same version that appears on The Bears For Lunch. Read review there. Urchin Promise- 2 Psych, bizarre pop drip from the spout of Sprout. Flanged out guitars play as drilling drone reverb melodic line flatlines in the back. Sounds like a lonely, rainy Saturday tool shed session with Tobin' tape recorder and effects pedals he's been dying to try out while the kids are away. Not so hot.